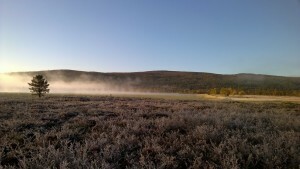 To hunt independently in Sweden you must have hunting license. It involves you have to attend a course where you will learn about the flora and fauna and all the huntable wildlife in Sweden. Degree also includes advanced shooting test where you shoot at both fixed and moving targets, with shotguns and rifle. Once you have your hunting license, you can apply for a license on the weapons you choose to hunt with. 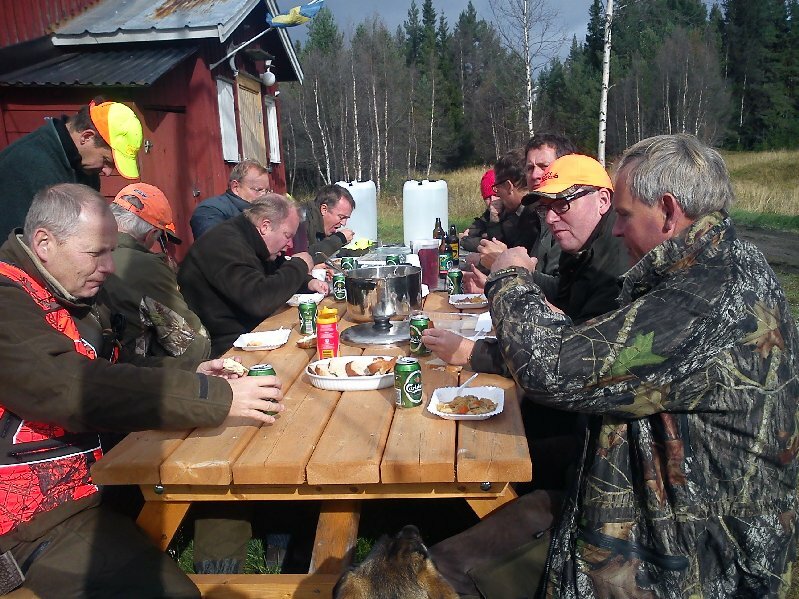 As a hunting guest in Sweden you can also go hunting, but under supervision of another hunter that have the hunting license. In that kind of hunting as a guest, You will not need a hunting exame or license to own guns in your home country but must hunt under the direct supervision of someone who has it. As a professional hunting organizer Joy Event aims to give guests a full experience and it is very important to provide the right information to the guest before they arrive. As a guest, you get what you expect, and all guests is always given the conditions promised. However, we can not give any guarantees on how much game guests can shoot. We have high ethical and moral standards in Sweden. Chasing the game with motor vehicle is absolutely forbidden during hunt. Our hunting ethics also means that we always shoot the calf before the cow. we are very serious when tracking any animal that had been shoot but not found. The best elk hunting do you get when you buy a 1 +1 hunting. Then there is only one guest and the guide on the ground during the hunt. There is no other hunters in the area these days. You also have, as our guest, the opportunity to choose the moose to shoot. If / when you get an opportunity. That way, you got all chances of coming home with a trophy. 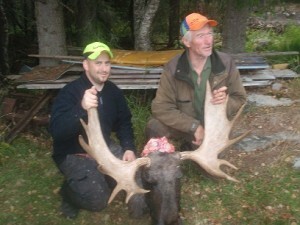 You pay in addition to your weekly fee, a trophy fee for each moose brought down. You can also pay to participate in elk hunting in a huntingteam. You can pay to come and hunt for a few days or a week. The guests usually participate with the same conditions as the local members of the huntingteam. The hunting leader will decide the area for hunting that day and where the other hunters will be posted out. You can choose between either going with the hunter responsible for the dogs and get a chance of shooting a moose really close, or sit in a tower. You are yourself responsible in helping the team with all game being bringed down, success is based on teamwork and goodwill. If the moose is in the area, inside the circle of hunters, then it’s usually the handler that have the big chance to shoot the elk, bacause the dog has it pinned down. If a moose hear or felt the sence of the hunter, it is very difficult for the dog to get the elk to stop. 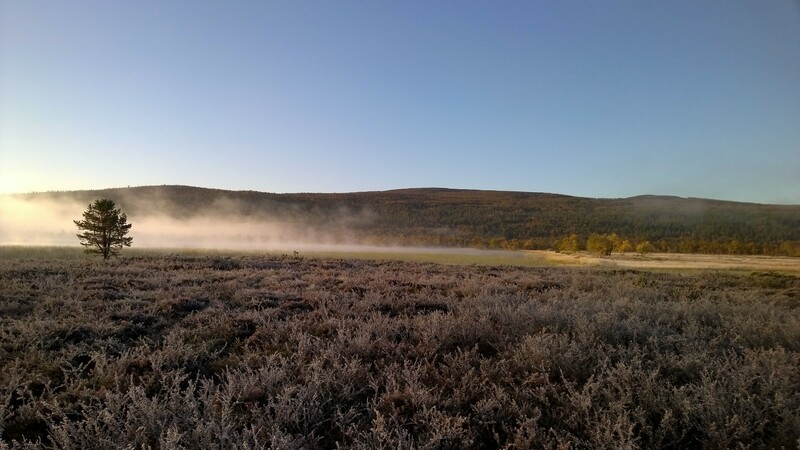 If the moose runs towards the chain of hunters, then the hunters in the chain has the best chance to shoot.Normally we hunt from sunrise to sunset. Often you break at lunchtime. The meat of the elk have here in the North been a very important source of food for many thousands of years. Before there were guns, people were digging traps in advanced systems in the forest to cath the elk. In Sweden, more specifically, right here in Jämtland. Where I live and work, there are thousands of these advanced wholes left in the forests and they are now regarded as protected monuments. Even today, meat of elk are important food for many Swedish hunters and their familys. Many here still hunts of that very reason. 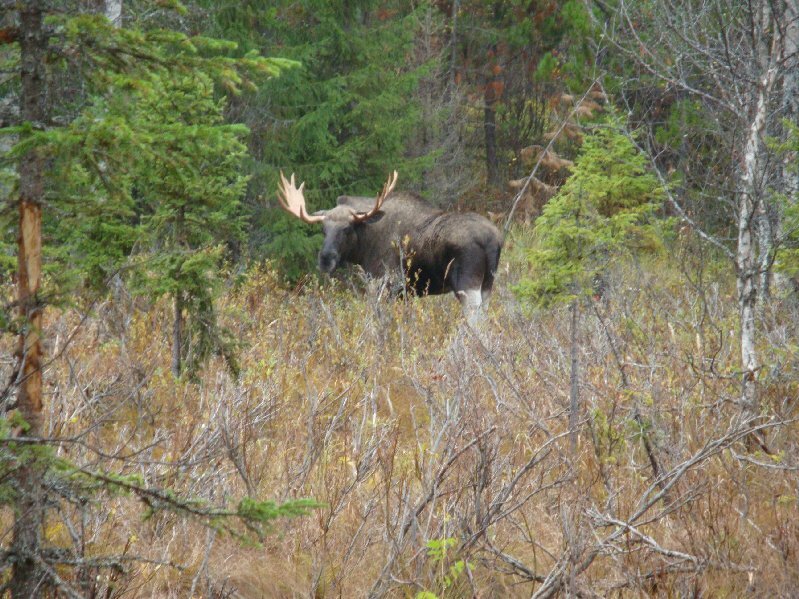 Most people who hunt moose in Sweden owns the land or lease land by forest companies or private landowners. We usually hunts elk with adjacent landowners who are organized into hunting parties. 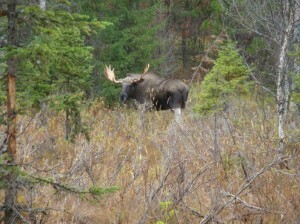 Each hunting area receives an annual quota to shoot depending on the growth of the moose population. Each hunting team has a hunt leader. In Sweden we have an ancient tradition of hunting elk with loose dog that make the elk stop. This means that we use dogs specially bred to get the moose to stop and stand still. This ensures that you as a hunter can manage to sneak up within shooting distance of the moose. If you have a well trained dog, you get a lot of nice and exciting hunting experiences in the woods! The most common breeds to use for this type of hunting is Gråhund, Jämthund and Laika. This form of hunting has many benefits when you above all have the ability to stop elk in your hunting area. Elk who are hunted, and not get stopped by the dog, use to run several miles. Often to someone else’s hunting area. When you come close to the moose, you have a good oppertunity to choose if you want to shoot the moose the dog is barking on. Practice your professionalism as a hunter and shooter in this form of hunt requires a lot of skill by you as a hunter to success. The barking dog distract the moose’s attention and you therefore have a chance to get up close. The main thing to keep in mind is going in the right wind, always have in mind of how the wind is blowing. If the wind is wrong, the moose can feel you miles away. As a shooter you must make your way towards the moose very, very quiet and therefore must have soft, “quiet” clothes that does not make a sound when they scratched against the branches, rocks or stumps. Before you shoot, you must also pay close attention to where the dog is in relation to the moose, so the dog can´t get hit by ricochet.